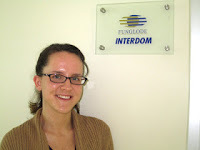 You can read about Anna’s internship with Grupo PUNTACANA on the InteRDom website here. As weeks have passed by and the cooler months have turned into Dominican summer (the “low season” in the Dominican tourism industry), I have started thinking of the clothing differences I’ve noticed in Punta Cana compared to Santo Domingo (though please keep in mind that my observations are by no means a fair representation, since I work and spend more time in the developed areas, and less in the local communities). 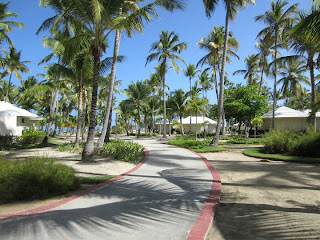 In my opinion, the styles of Punta Cana are directly related to the laidback beach culture. I see loose-fitting linens and breezy clothing, with pastel colors and natural-looking beach jewelry preferred. In Santo Domingo, styles are much trendier, colors are more vibrant and clothing tends to be more form-fitting and showing less skin. I imagine the higher temperatures and humidity in Punta Cana may affect the choice of less versus more clothing. However, the Dominican Republic is a Roman Catholic country, and though temperatures are high year-round, it is usually not common to show a lot of skin (no-no’s = short shorts, tanktops, flip flops). But in Punta Cana, an exception exists due to a few reasons. Besides the beach resort culture and the higher temperatures, here we have the foreign influence. Compared to the capital, there are a lot more foreign permanent residents and visitors here from the U.S. and from Europe, and this increases the occurrences of people wearing summer-type clothing like shorts and tanktops. Punta Cana is a very serene and comfortable place to live. When I visit the capital, I miss the quiet and solitude of my little beach casita. In the capital, I am constantly awoken by the sound of car alarms and beeping whereas in Punta Cana, I may wake to the sound of distant thwacking as the gardeners tend the ever-present coconut trees. However, there is one thing that remains the same between Punta Cana and Santo Domingo: the political advertisements! Ever since I arrived in late December, I have seen political ads for the two main parties’ candidates everywhere I look. I once saw a huge political advertisement imprinted into the side of a large, forested mountain. Political ads also abound on the local radio and on television. There is no escaping them. In the Dominican Republic, it’s usual that two parties hold the vast majority of votes, though there may be a few other candidates who secure 1-2% of the population. During the elections weekend, I was visiting the capital for the experience and when I tried to return to Punta Cana the day after elections, I found all the bus routes to be full. This was because the Dominicans who were registered to vote in Santo Domingo had come for the weekend, voted on Sunday, and then headed back to their homes the next day. However, even this experience was interesting as I was able to eavesdrop on many political conversations and heard political exclamations of random people on the bus!